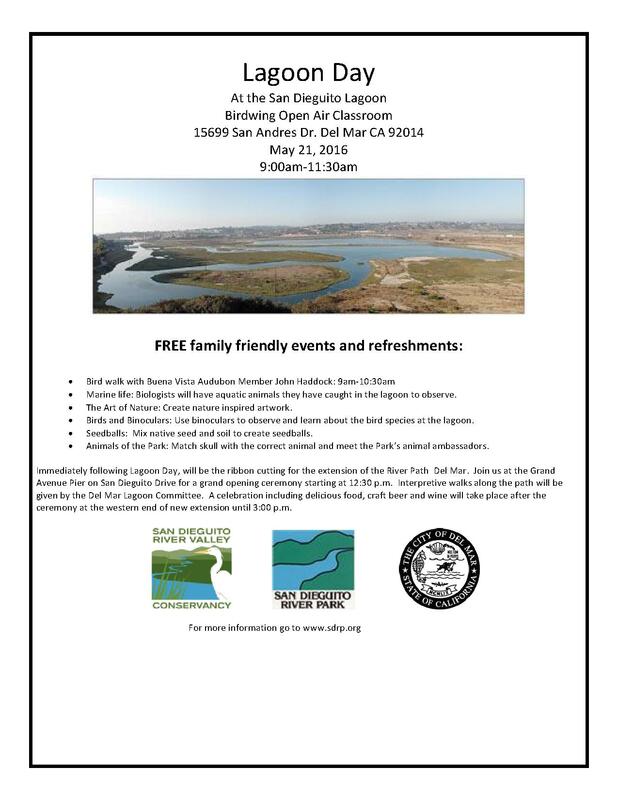 Please save the date and join the San Dieguito River Park, San Dieguito River Valley Conservancy, and Del Mar Lagoon Committee on Saturday, May 21 for Lagoon Day and the ribbon-cutting ceremony for the River Path Del Mar extension! Festivities start at 9am at the Birdwing Open Air Classroom. Featured image by Jim Coffee.